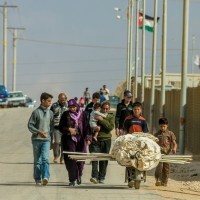 As I boarded an airplane for Jordan in early January to deliver medicines from MAP International to Syrian and Iraqui refugees, my church, National Presbyterian in Washington, DC, was making final plans to resettle a refugee family in the US. I was overseas helping stock Jordanian refugee clinics with desperately needed medical supplies while my church back home was gathering furniture and household items for what we had begun to call “our family.” And while I questioned Jordanian pastors about how they helped refugees stay hopeful, my church was holding meetings to train members on how to support our incoming refugee family. Two weeks ago, I came home ready to share what I had learned in Jordan and found church members excited about the imminent arrival of a family we were finally ready to welcome after months of preparation and prayer. However President Trump’s recent Executive Order (EO) put our church’s plans on hold—at least for the next several months—and thrust our refugee family, along with many others, back into limbo. For many members of the congregation, the action was extremely disappointing and deeply unsettling. Some joined protests outside the White House to make their views known. We have a diverse membership, however, and others in our church defend the president’s actions and echo his concerns about the refugee resettlement program. So how does our congregation—and others like it across the country—move forward in ways that unite rather than divide our members? And for those who want to participate in refugee resettlement, how do we find a constructive way to respond while the federal government keeps the door closed? There is a great deal of misinformation about immigration, refugees, and US policies springing up in social media, on websites, and even in the mainstream press. Get the facts. Our church recently held a refugee panel discussion (you can view it here) where we invited experts to share their perspectives and answer our questions. Consider holding a book study or Sunday school class in which you focus on the historical facts of immigration and refugee resettlement. Much of the “debates” on social media are missing the larger context of US history and policy. To avoid conflict between members, set guidelines about what can be discussed and the manner in which opinions can be voiced. Sponsor a legal clinic on immigration. Whenever I speak in churches about immigration topics, I almost always get personal questions from people who have a friend or relative dealing with an immigration concern. When I suggest consulting an immigration attorney, I often hear stories of unscrupulous attorneys who took money and delivered no help. Sadly, those who need representation the most often fall prey to people ready to take advantage of their plight. Your church can work with or help fund a local legal aid clinic or a respected immigration attorney who provides free advice to immigrants trying to find a trusted source of help. It’s a wonderful way to show your community that you care. One of the early interpretations of President Trump’s recent Executive Order included permanent residents (or “Green Card” holders) who live and work legally in the US but have not taken the final step to become citizens. While the EO was later clarified to exclude them, many of these legal permanent residents now realize that their status might be precarious. Green Card holders often put off becoming citizens because they enjoy almost all the benefits of citizenship (except the right to vote and hold certain high security jobs) and do not want to pay the required fees or take the required tests. As more and more permanent residents respond to the EO by pursuing citizenship, many of them will need help with language skills and tutoring preparation for the tests. The USCIS (US Citizenship and Immigration Services) provides practice tests and study tools that anyone can use to help legal residents become citizens. If you offer a citizenship course at your church, everyone in the congregation can participate, and no doubt many congregants will be surprised by how much they learn. Even a temporary ban on refugee resettlement creates a budget crisis for refugee resettlement agencies like World Relief, Lutheran World Relief, Church World Services, and others. These agencies depend on government grants and other funds that only flow to them when refugees arrive on American soil. A ban like this one halts funding, and a lower cap on the number of refugees allowed into the US (as the president has promised) will create a long-term shortfall for these organizations. Many of these groups are already planning personnel layoffs and cuts to services and will continue to do so unless private donors and churches step in to offer their support. Support groups helping refugees overseas. My heart breaks as I think of the refugees I met recently in Jordan. Many have been separated from their homes for years and are waiting either for the war to end or for another country to accept them. Only a small number live in refugee camps. The vast majority are left to fend for themselves and are often prohibited from taking jobs so they won’t hurt the local economy. The children can’t attend school, and the families rely on handouts. 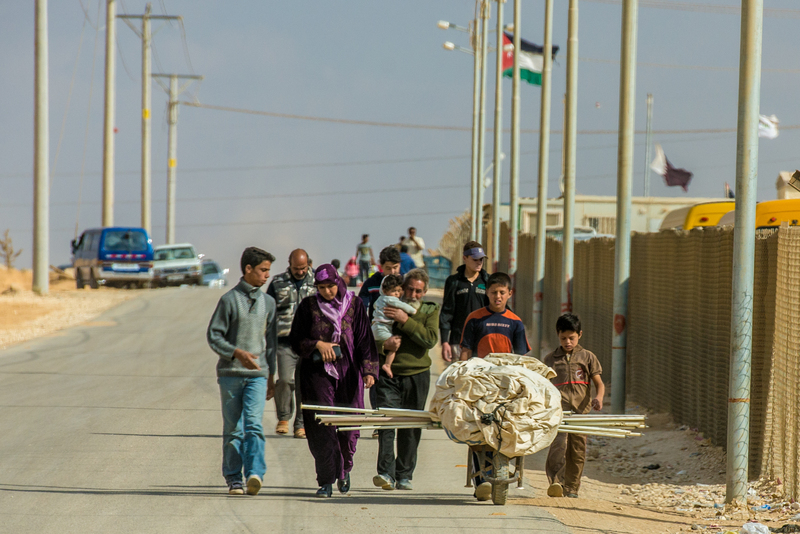 The Christian population in Jordan, while less than two percent of the total population, has been incredibly generous in supporting these displaced refugees. Depending on your denomination, you might be able to support a local church congregation that is reaching out to refugees in Jordan, Lebanon, or another host country. For example, an evangelical church that I support in Amman, Jordan has created its own nonprofit ministry. There are many other groups that I highly recommend and have seen at work, including Preemptive Love, Questscope, and World Vision. I also support The Syrian American Medical Society (SAMS), a group of mostly volunteer doctors who treat refugees. Although their organization is not faith-based, the doctors do remarkable work, and MAP International partners with them and other groups to provide medicine to Syrian refugees. There are numerous other agencies that might align with your congregation, so ask churches in your denomination who they support. Pray for those who are working with Syrian and Iraqui refugees and those who have settled refugees in the US, that they would “not grow weary in doing good” (Gal. 6:9). There is discouraging news from all sides, and the refugee crisis has continued longer than anyone imagined. Pray for US and other governments’ officials, that they would find wisdom to balance compassion with security and justice with grace. Pray for the refugees themselves. As Bob Pierce, the founder of World Vision, once prayed, “Let my heart be broken by the things that break the heart of God.” Surely refugees and their plight break God’s heart. Pray for an end to the violence that has caused the refugee crisis in Syria, Iraq, and other parts of the world. If Christians spent half as much time praying as posting on Facebook, we would all be mighty prayer warriors for a hurting world. Thank you for your excellent article on how churches and individuals can help refugees.